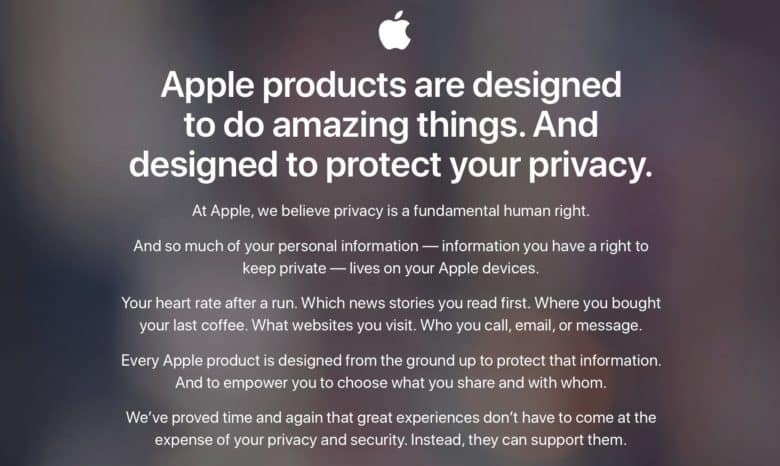 Apple has been a big advocate of user privacy. Tim Cook has called for “comprehensive federal privacy legislation” in the U.S. that would fight the “shadow economy” of data brokers. Cook’s comments were made in an op-ed for Time Magazine, published today. This is just the latest example of Cook calling out companies which make their money trading in user data, often gathered without the full understanding of users of a particular service. “[O]ne of the biggest challenges in protecting privacy is that many of the violations are invisible. For example, you might have bought a product from an online retailer – something most of us have done. But what the retailer doesn’t tell you is that it then turned around and sold or transferred information about your purchase to a ‘data broker’ – a company that exists purely to collect your information, package it and sell it to yet another buyer. As noted, this is far from the first time Cook has voiced similar sentiments. Steve Jobs was also an advocate of user privacy, although these concerns have ramped up under Cook’s leadership. Apple has used privacy as a differentiator and selling point, compared with rival tech giants whose money comes from collecting and monetizing user data. This even led to a high profile standoff with the FBI over whether or not Apple would help hack an iPhone. Recently, Cook called for European-style laws designed to protect user data from companies. While last year’s investigations into Facebook, following the Cambridge Analytica scandal, proved toothless, more and more lawmakers have discussed similar regulations. With Cook using Time as a high profile venue to air these concerns, the issue is only going to get more coverage.